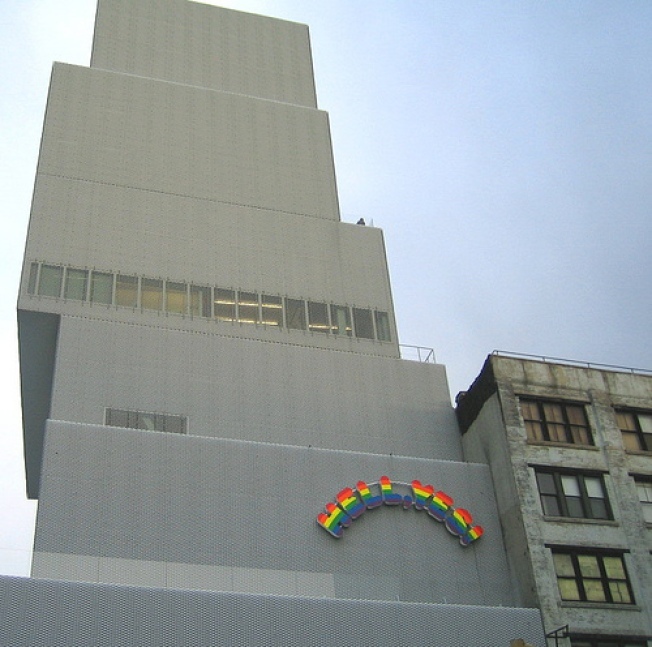 The New Museum, shot by Flickr user Carl MiKoy. Somehow when nobody was looking, Willy Wonka flew over from England in that magical elevator of his and took control the Bowery's New Museum, which is now selling off chocolate bars wrapped in golden tickets, er, museum memberships. Five lucky winners will unwrap their chocolate bar to find a free Premium Membership (value: $1,000), but sadly, no tour of the factory and definitely no Oomba Loompa sing-songs. For your chance at semi-art world infamy, order either the New Chocolate Bar with Standard Individual Membership for $65, or the Standard Dual Membership for $105, and just hope for the best. It's what the New Museum is calling "the perfect holiday gift," and seriously, if Charlie could do it, so can you! But just in case you're not the lucky type, The Feedbag makes it clear that, "Everyone will get an invitation for two to a special pre-Valentine’s Day event in the Sky Room on Feb. 13th." Click here to buy the New Chocolate Bars at the New Store, and pick up a standard New Museum membership in the process. Photo by Flickr user Carl MiKoy.